MC Granite Countertops is located in Atlanta with 15 years experience in residential granite countertops, tile sales, templates, fabrication and installation. We offer the best prices on granite in the state of Georgia and pride ourselves in customer satisfaction and customer service. 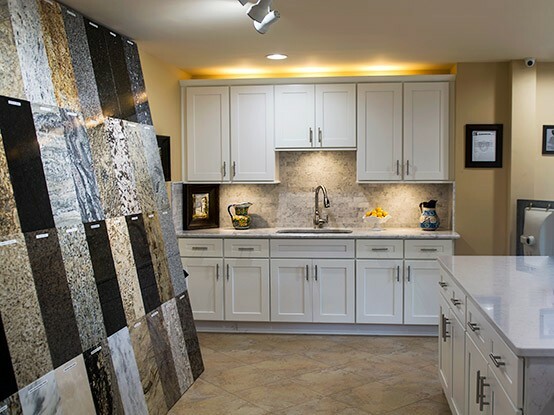 Stop by our warehouse in Kennesaw and have a look at our superlative and cost-effective inventory of granite countertops to ensure we deliver first quality materials. A granite countertop immediately creates a look of luxury in any home. It adds color and unique detail and it will guarantee that your design is one of a kind, being original and special, no two pieces of granite are exactly the same. Granite is long-lasting and has low-maintenance; our granite countertop specialists deliver you high-quality products at low prices. MC Granite Countertops is your number one source in the area for high quality granite products at low prices. It’s a good choice for your home, because granite complements most kitchens and bathroom designs, when it comes to style, granite has plenty of variety to offer. Natural stone can have veins of color running through it that create one-of-a-kind patterns. We also offer repair services for sinks and cook-tops made of granite, marble, and other solid surfaces. As a prime investment, our granite restoration and resealing services preserves the longevity of your granite and marble countertops. Granite offers excellent return on investment, MC Granite Countertops Warehouse, saves you inconvenience by removing your old countertops and installing your new granite countertops all in one day. We do our own fabrication and installation. With Atlanta Granite Warehouse, you get a 100% warranty in labor and materials.